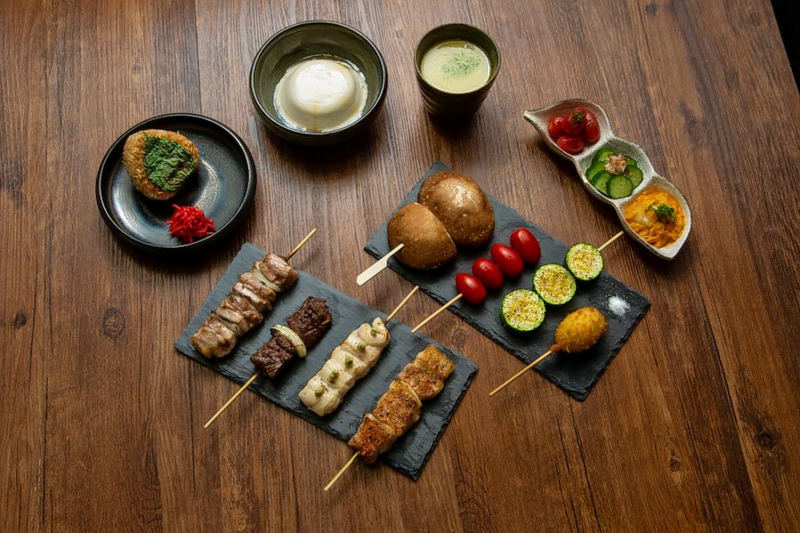 That's where and when you'll find chefs grilling yakitori-style skewers of meats like chicken, steak and pork belly, as well as vegetables like zucchini, avocado and king oyster mushrooms. In addition to yakitori, there are rice dishes, fried chicken and desserts like sesame pudding. To drink, Cafe Half Bistro offers the Japanese non-carbonated soft drink known as Calpis, plus mocktails like "First Love," made with cranberry juice, citrus syrup, lime juice and club soda. Brian W., who reviewed the new spot on December 30, wrote, "The new young chef told me he is always trying new things, and if there's something you want to try together you can request it. He had New York steak filled with foie gras on the flames, which I sadly didn't get to try. So be sure to ask for the secret menu items." Yelper Dawn B. added, "One thing to be aware of is that the space is not large, and it's a small mom and pop operation, so don't expect quick service. It's more of a relaxed slow food meal, but it's definitely worth the wait."